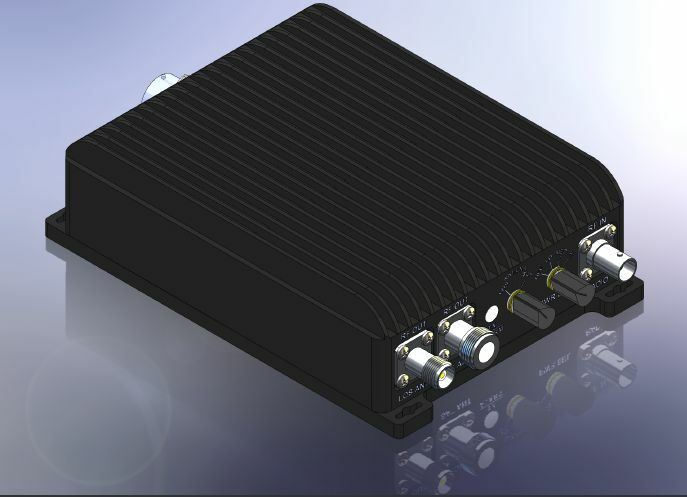 AR Modular RF has introduced a new portable, lightweight, fully automatic band-switching RF booster amplifier for single or multi-band VHF/UHF tactical radio equipment. The new Model KMW1035 is a 50-watt amplifier that covers the 30 – 512 MHz frequency band using six high-speed auto switching filters to assure harmonic suppression. The unit is SINCGARS, HAVEQUICK, and ECCM compatible. It includes voltage spike suppression, RF sensing, T/R switching, automatic level control (ALC), six automatically switched harmonic filter bands, and protection against antenna mismatch, over-temperature and accidental polarity reversal. The KMW1035 amplifier is the latest member of AR Modular RF's line of rugged, dependable, battle-tested military booster amplifiers. For more information visit their website at www.ar-worldwide.com.